MULCARE, Francis “Frank”, of Carle Place on Sunday, February 10, 2019 at the age of 97. Beloved husband of the late Elizabeth. Cherished father of James (Yvonne), Patrick (Betty Ann), Maureen Anderson (Edward), Eileen Neave (Paul), and Thomas. Loving grandfather of Jami, Victoria, Patrick Jr., Francis, Erin, E.J., David, Jean Marie, Courtney, and Brian. Adoring great grandfather of 7. Frank was a proud veteran of the US Coast Guard having fought during WWII. 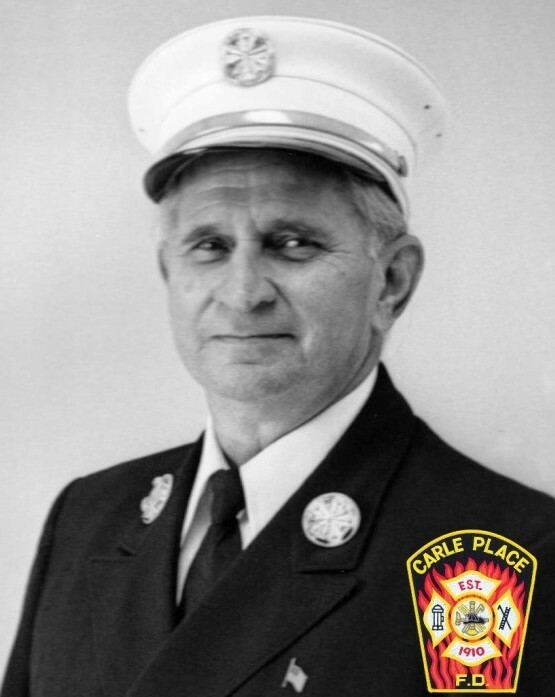 He is an Ex-Chief and 60 year member of the Carle Place Fire Department. The tradition carries on with his children as his three sons, James, Patrick, and Thomas are members of the Carle Place Fire Department, with both Patrick and James having served as Chief of the Department. His daughters also followed suit as Maureen and Eileen are both members of the Carle Place Fire Department Ladies Auxiliary; Eileen also being a past president. Reposing Donohue Cecere Funeral Home on Wednesday from 2-4 & 7-9 PM. Mass of Christian Burial on Thursday 9:45 AM at St. Brigid’s RC Church, 50 Post Ave., Westbury. Interment following with Military Honors at Calverton National Cemetery, Calverton NY.